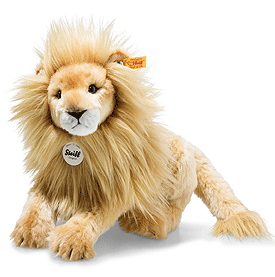 Steiff Leo Lion is made by hand, in the finest blond cuddly soft plush. Leo lion is 30 cm tall and likes to relax in a lying-down position. 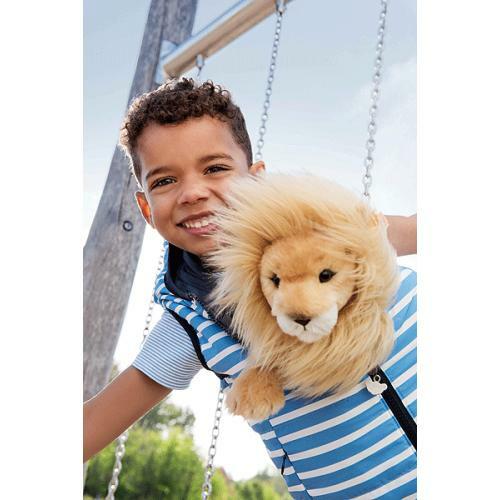 The blonde Leo lion features a long mane and is made of soft plush fabric. The fur around his mouth is white and his nose has a dark brown tone. The inner ears and the soles of the feet have been made with beige plush fabric. His mouth and whiskers have been created with an airbrush, just like his claws. A careful airbrush technique has been used to paint his face and body with a spectrum of brown shades.